1. Easter is calculated using Gauss formula. If (a + b) > 10 then Easter is (a + b – 9) of April (old calendar) else (22 + a + b) of March (old calendar). Thus the date of Easter can be from 22.03 to 25.04 (old calendar) or from 04.04 to 08.05 (new calendar). 2. Feasts are set off with red color. Dates for the year 2013. 3. Days of the remembrance of the departed are set off in back color. 4. 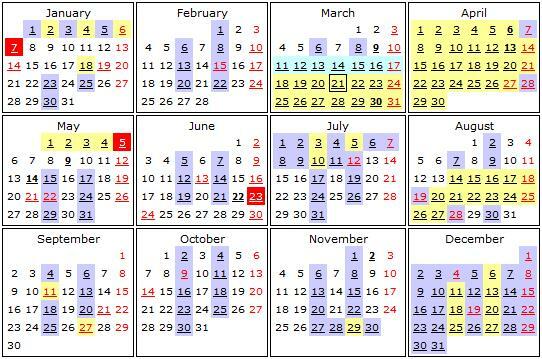 Fast days are set off in background colors on calendar….